This hydrangea bridal bouquet is going to have the look of a real handtie. 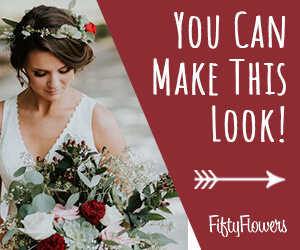 Now that all your flower stems have been placed in the foam holder, you can create the look of a true hand tied bouquet by using the rose and other flower stems you set aside. 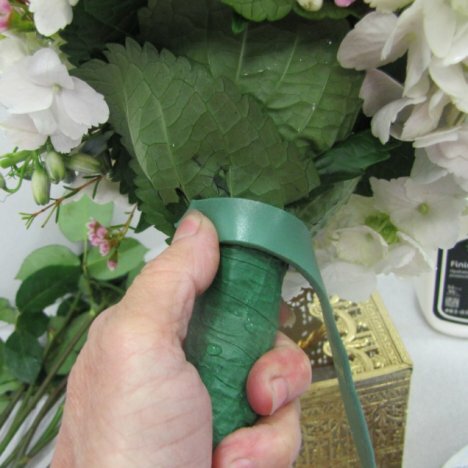 I like using floral clay wound around the bouquet handle to hold the stems in place before taping. Floral clay holds well (even in wet conditions) and is an invaluable tool for floral design work. 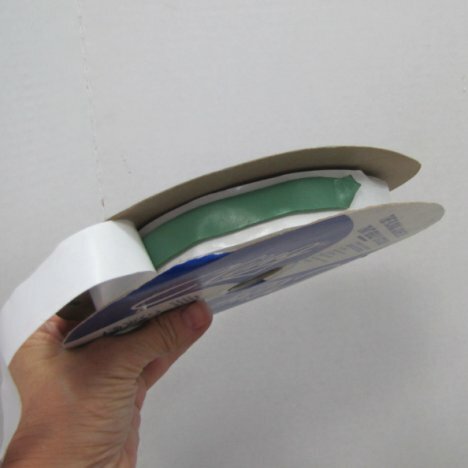 I use clay that is wound in a long roll with a waxed paper liner. 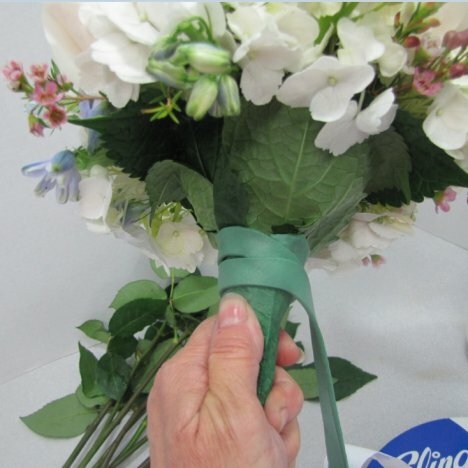 Peal the liner from the roll and lightly wrap the tacky clay around the bouquet handle. 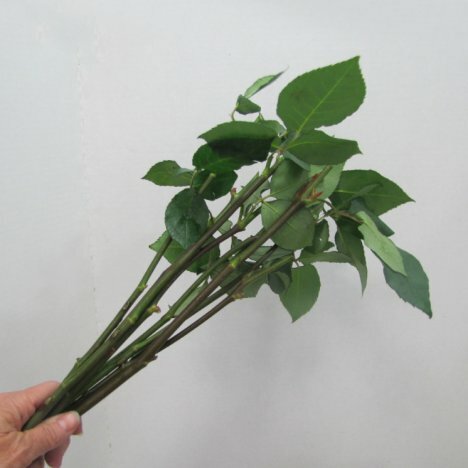 Wind all down the stem, pressing it lightly in place to hold it.